Deskripsi Pekerjaan:We are looking for a Buying Planner Executive, a mid-level position in the buying team, buying planners are the support network for the entire buying team. Reporting to Head of Buying Planning & Operations this role is based in Jakarta, Indonesia.The primary focus is to assist in historical data analytics, future category & brand planning, brand budgeting, and pricing intelligence. 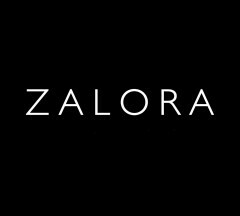 This is a unique, exciting opportunity to influence minds and make a positive difference to ZALORA, and to your career. Untuk melamar Lowongan Kerja Buying Planner Executive di ZALORA Indonesia, silahkan klik disini. Demikianlah informasi mengenai Lowongan Kerja Buying Planner Executive di ZALORA Indonesia semoga berguna bagi anda.